Chicago is the third most populated (approximately 2.7 million residents) city of the United States, located in the State of Illinois. 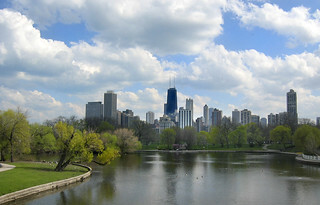 Chicagoland, as it is often called, is the third-largest metropolitan area in the USA (about 9.8 million people), right after NYC and Los Angeles. The city is a thriving cultural center known for its outdoor public art works by Picasso, Chagall, Miro, and Abakanowicz. A beautiful location on the picturesque waterfront, friendly people from different regions around the world, and numerous cultural events, make Chicago indeed a great city for a date. Here are some, in our opinion, interesting ideas for dating in Chicago. Not without a reason, during the establishment of a city in 1837, Chicago has adopted its motto Latin phrase "Urbs in Horto" which translates to "City in a Garden". Nowadays Chicago boasts of 552 parks located in the area of more than 7,300 acres (3,000 ha) which includes inter alia, 33 sandy beaches, numerous museums, two world-class conservatories, and 16 historic lagoons. The one of the largest and most famous parks is surely Lincoln Park. It is a popular destination for a walk or a date. The park has a richness of attractions located here, including the Lincoln Park Zoo, Lincoln Park Conservatory, The Peggy Notebaert Nature Museum and Chicago History Museum. Particularly noteworthy is the "hidden gem" of the place that is Alfred Caldwell Lily Pool. During the walk you can feel like when walking through an open woodland. All nature lovers will be delighted by the richness of native plants, such as hackberry, oak, hawthorn, and wildflowers thrive. It's also a great place to watch birds. The presence of many bars and clubs (especially along Lincoln Avenue), numerous restaurants, coffee shops, upscale boutiques and national retailers makes Lincoln Park one of the best places for dating in Chicago. The Botanic Garden, located about 25 miles away from the city, might be the perfect place for a date, regardless of the season. During the spring and summer, thousands of beautifully blooming flower species spread an amazing smell. Autumn scenic park is all in yellow and red. In the winter it turns into a romantic and charming ice garden. Botanical Garden is the perfect place to relax for a while with your sweetheart from the surrounding hustle and bustle of a big city. Rose lovers will be for sure interested in Rose Garden, housed here with its impressive collection of about 500 bushes, representing 100 species. 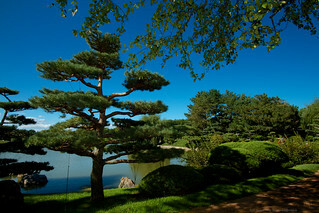 Another attraction is the Elizabeth Hubert Malott Japanese Garden beautifully situated on three islands. We particularly recommend a walk in a Japanese garden during a winter, when snow covers everything. This is an unusual and beautiful view. The garden is also a great place to spread a blanket on the grass and arrange a picnic only for the two of you. If you do not want to prepare lunch by yourself you can go to the Garden Cafe, located nearby. Chicago is a very important point on the cultural map of the world. The city has made ​​a huge contribution to music. It is famous for jazz, soul, blues, and gospel. It is also the birthplace of House music. Therefore, the richness of clubs playing these genres of music shouldn't be a surprise for anybody. Jazz lovers should definitely go to Andy's Jazz Club or Green Mill Cocktail Lounge. These are ones of the most famous and respected clubs playing this kind of music, renowned for its warm atmosphere and high quality performances. The first one is also known for its delicious cuisines. Those of you who like the blues can not miss Buddy Guy's Legends. It's a great, atmospheric venue where not only you can listen to a high quality music, but also taste a variety of delicious food. Soul lovers should visit the Empty Bottle club which offers a soul nights. Their tagline, "Music Friendly Dancing" perfectly captures the atmosphere. Also, the aforementioned Green Mill Cocktail Lounge has soul evenings in its offer. 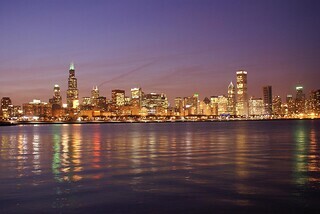 Chicago is well known not only for music. It is a major center for theater with Goodman Theatre and Steppenwolf Theatre Company at the forefront. These are famous for fine actors, directors and spectacular performances. If you like to laugh you will appreciate The Second City, famous for its notable alumni, including stars such as John Belushi, Tim Meadows, Mike Myers, Tina Fey, Dratch, just to name a few. Civic Opera House is the landmark of Chicago and one of the most beautiful buildings in the world at the same time. With its 3.563 seats, it is the second-largest opera auditorium in North America. On its stage performed such artists as David Byrne, Bryan Ferry, and Seal. Dating in Chicago can be fun! The most famous dishes originating from Chicago include the Chicago-style pizza, Chicago hot dogs, and Italian beef. The city has a huge base of all kinds of dining options, from casual, tasty restaurants to the upscale ones, serving exquisite food. Chicago is a city of different nations, different cultures and different languages. This multicultural nature has left its mark also on the cuisines. In Chicago, there are many distinct ethnic restaurants reflecting a specific character of each part of the city. There are plenty of excellent restaurants serving Polish (Staropolska, Podhalanka), Greek (Greek Islands, Artopolis), and Italian (Quartino, Sapori Trattoria) cuisines. Chicago is known for its variety of restaurants involved in molecular gastronomy. If you are open to such innovations, then you should definitely visit Alinea, Moto, or Schwa. 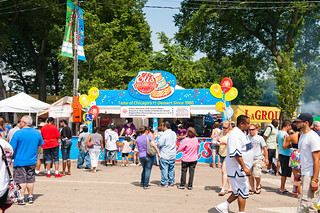 Don't forget about the Taste of Chicago festival held here every year perceived to be the largest food festival in the world. It is a great opportunity to try delicacies offered by dozens of Chicago restaurateurs. In between consecutive meals you will have the chance to enjoy live performances. If you are a food lovers, it's a great place for dating in Chicago.